Rising gas prices have caused many Americans to cut back on the numbers of miles they typically drive. Longer road trips have been replaced by vacations in their own town. Carpooling has become popular as well. Some people have decided to stop driving altogether. Did you know you could rent out your car? It can be an easy and effective way to make some extra cash. The process is rather simple. You register your car at one of any peer-to-peer car sharing sites. Someone who needs a car will then make a bid for your vehicle. 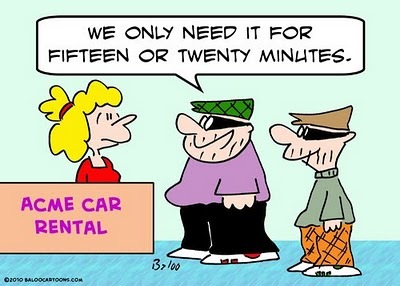 Your car can be rented out for as long as needed. Vehicle owners can even set their own rates. Rent out your car as many times as you would like. One of the best benefits to renting your car is that you provide a ride to someone who needs it. Helping other people is always a good feeling even if you are profiting from it. Speaking of profit, you can actually make more than what your car is worth. Renting your car can generate revenue just like renting a room in your home. Keep in mind that your car sits in the driveway more often that you are actually driving it. It makes sense to make some money from it while you are not using it. The person renting your car benefits as well. Renting a car through a rental company can be expensive and confusing. Coming to an agreement is simple and fast. Anyone who needs to rent a car also has more variety to choose from. Not everyone needs a late model car. Having a car to get to a job interview may be enough for most people. Is my car safe while someone else is driving it? Yes, your car is covered by an insurance policy taken out by the site you list your car on. This means that you are not on the hook if your car is damaged while someone else is driving it. You may even be able to get a discount on your own policy because you won't be driving your car as much. There are all kinds of background checks that are performed as well. Only good drivers will be allowed to get behind the wheel of your car. Measures are also taken to ensure that drivers have not committed insurance fraud in the past. You have absolutely nothing to worry about when you car is being driven by a stranger. Say you are driving a car that is worth $2,000. Over the course of a year, you could make much than $2,000 if you are renting your car out on a regular basis. If you are still making payments on your car, it could help you cover your payment. It will help you pay the insurance and maintenance costs at the very least. The dealership is not going to give you very much for a trade on an older car. They won't even give you full market value for a newer car either. Trying to sell your car can be a hassle if you don't know what you are doing. Renting out your car is much easier because you are matched up with people who need what you have to offer. Don't let your car just sit in the driveway. It makes more sense to rent it out instead. You can make a passive revenue stream simply by letting other people drive your car. The money you raise from renting out your car can pay for a new car or help you take care of some other bills. You may even be able to make a profit from your car in the long run. An insurance policy covers your car and all applicants are pre-screened. What do you have to lose? Another easy way to cut down the costs of your car is to shop around for lower car insurance rates online at Kanetix.ca. By simply filling out a questionnaire on Kanetix's website, you could save hundreds of dollars on your car insurance every year. Do a comparison today to save time and money.